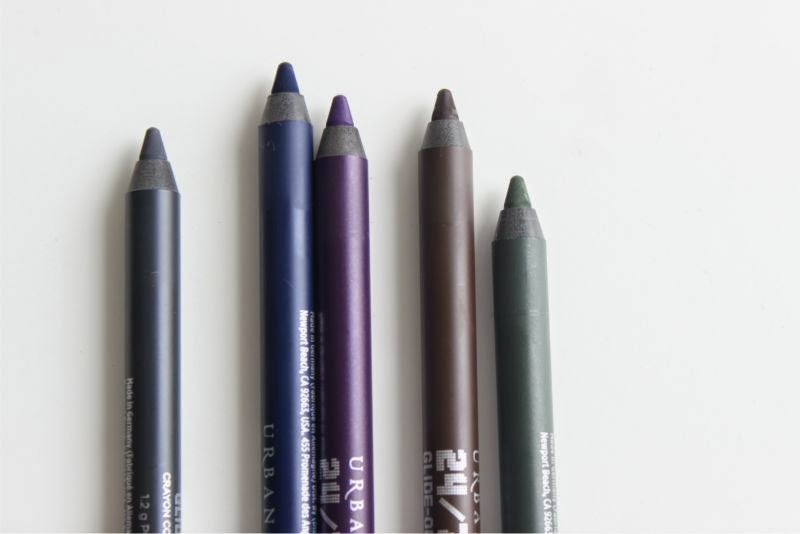 Urban Decay 24/7 Velvet Glide On Eye Pencil shades shall we? 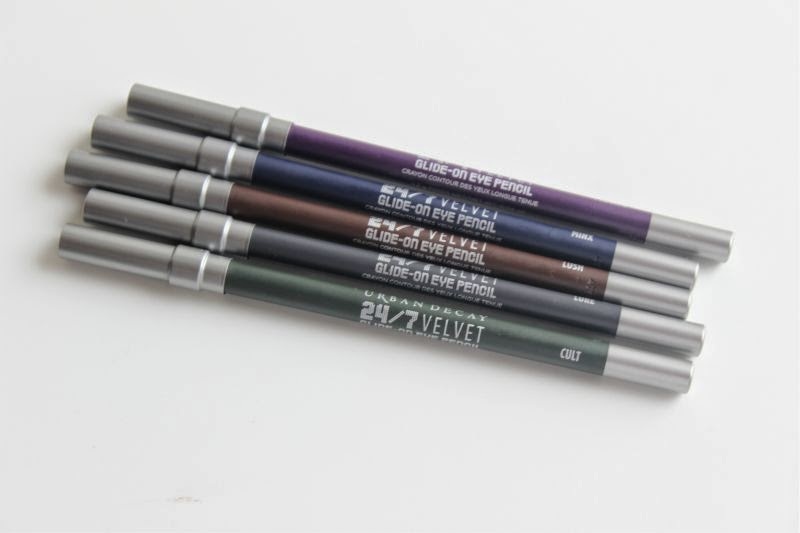 Before I share the swatches and colour break down let me explain a little about the Urban Decay 24/7 Velvet Glide On Eye Pencil formula, unlike the original 24/7 liners this range offers a soft matte finish which is utterly flattering .It is no exaggeration to say that Urban Decay 24/7 Glide on Eye Pencil's are the softest, creamiest formula I have ever tested - they literally glide on without tugging or pulling and feel light on the skin. What I like about the velvet formula is that the make great eyeshadow bases as well as doubling up as a long wearing matte cream eyeshadow. I tend to apply the pencil a little haphazardly over the lid and then grab a fluffy brush to blend out and soften. Despite having a creamy formula once set they do not budge so a word to the wise is to quickly blend out if a smoky look is what you are after otherwise you will find it difficult to do so. As someone who suffers from watery eyes due to allergies a.k.a hayfever Urban Decay 24/7 Glide on Eye Pencil are a god send, I can apply them to my waterlines or use them on my lids and know that they will stay in place for at least 6 hours. On my lid the wear time is closer to the 10 hour mark when used with a primer which is pretty impressive given my oily skin type. 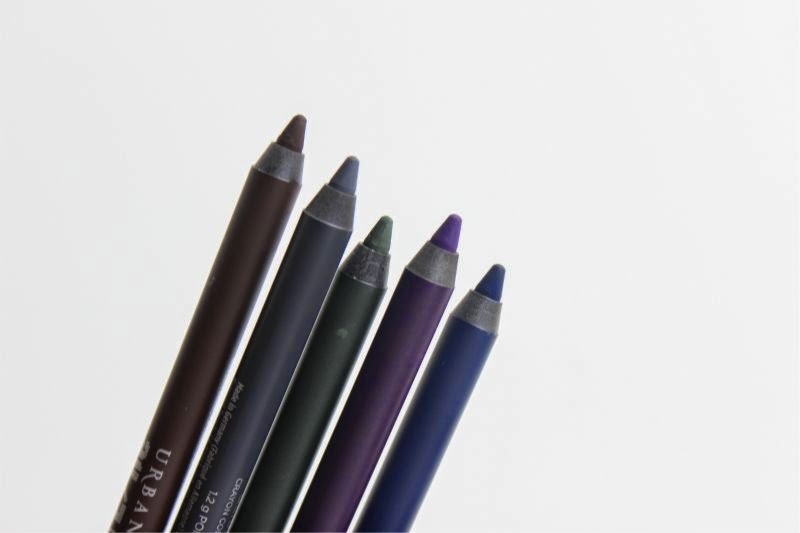 If you are looking for a fool proof liner that will hold its own against sun, sweat or oil look no further than Urban Decay 24/7 Glide on Eye Pencils, be the velvet or the original formula! Cult - Deep, smoky green. Lush - Rich, chocolate brown (almost black). There is also Black Velvet which launched not so long ago, you can read my review, see the swatches etc here - link. 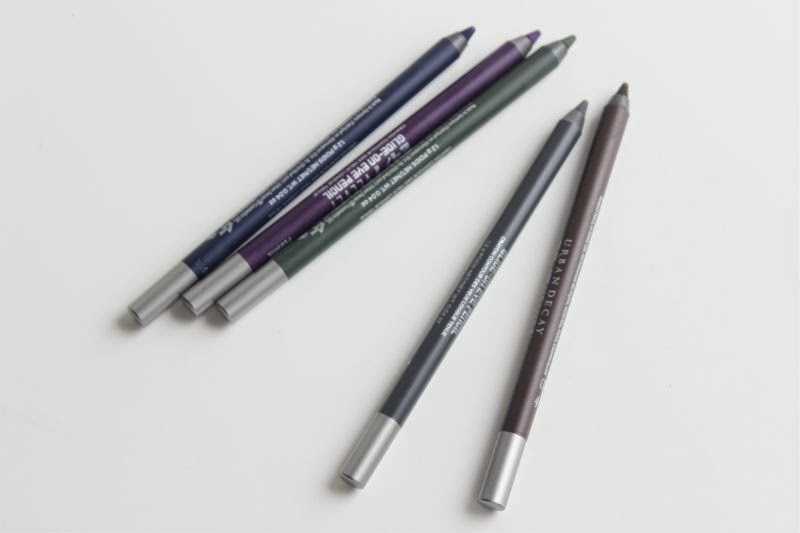 The new Urban Decay 24/7 Velvet Glide On Eye Pencil Shades will cost £15 each and will launch nationwide on the 4th of August. I do love Urban Decay liners, they're so good!